Samsung has been actively increasing its retail presence world wide as of late, and news from the The Wall Street Journal suggests the company will continue to do so. After announcing to launch 1,400 mini shops inside Best Buy locations across the US last year and plans to convert over 60 Carphone Warehouse locations throughout Europe, Samsung is set to continue its push in the EU and Canada, according to company executives. In Canada, Samsung plans to open up a number of mini kiosks inside Best Buy and Future Shop (a Best Buy subsidiary) locations. The number will increase Samsung's presence significantly, launching in 90 different locations by sometime in the Spring. The WSJ also reports that Samsung will continue its push overseas as well, with plans to open an additional 75 or more retail locations across Europe, more than tripling its current presence there. 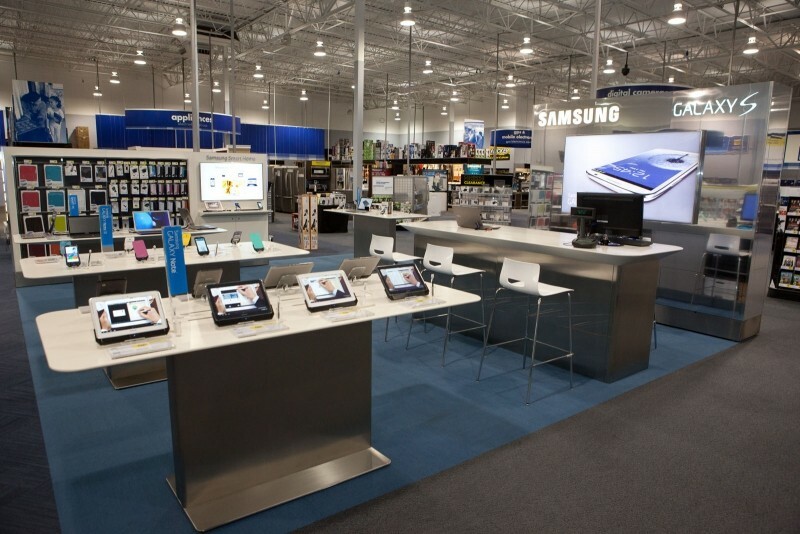 Based on previous reports, the Best Buy "store-in-store" kiosks are run by Samsung staff and the deal will continue as is for three years before Samsung and Best Buy re-evaluate the situation. Samsung's Galaxy S5, one item expected to fill the shelves in all these new locations, had some interesting new potential features surface recently including a swipe-style fingerprint scanner.